Uploading personal post in your Instagram account is easy and is what we use to do when we manage our personal account. But for most of the business owners, it’s not convenient to upload their post with mobile. Most of the time, our content store in desktop. Now head to Develop > User Agent > Safari — iOS 10 — iPhone. 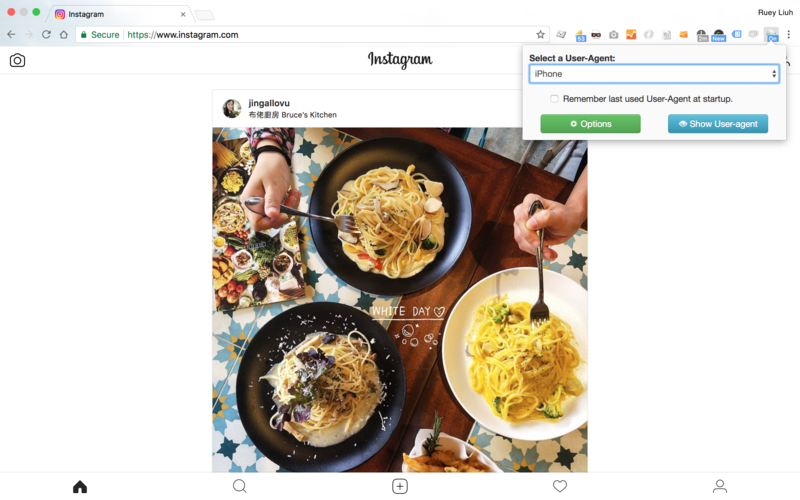 Go to Instagram.com, sign in and click the camera button at the bottom of the screen to upload a photo from your desktop. Install User Agent Switcher – Select the “Add to Chrome” button for User-Agent Switcher at the Chrome Web Store. 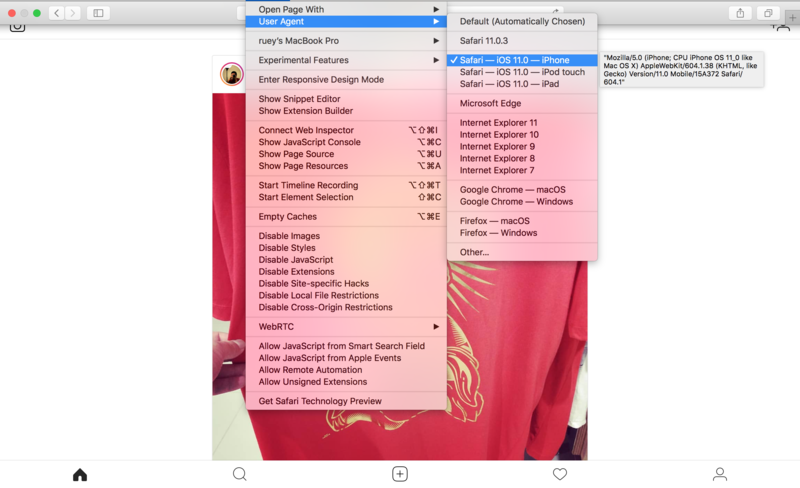 Select iPhone User Agent in your User-Agent Switcher menu and you will be able to see the camera button at the bottom of the screen to upload a photo from your desktop.